Dublin, Ireland based Allianz Worldwide Care is one of the largest health insurance providers in the world. 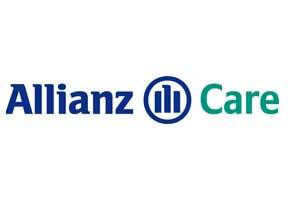 Presently Allianz cares for the insurance needs of over 60 million customers in over 70 countries. Thanks to a global staff of approximately 180,000 members, Allianz is known for fast and efficient claims processing and reimbursement, and aims to have any claim dealt with and payment arranged in 48 hours, under normal circumstances. Furthermore, with such a large network of claims agents, service is available 24 hours, every day of the year. As such a massive and successful insurance provider, Allianz maintains one of the largest healthcare partner networks in the world, which means that their insured are guaranteed access to quality medical attention in Malaysia and beyond. As evidence of their dedication to their insured, Allianz was presented the 2005 Best International Private Medical Provider award for excellence in coverage and service, and is considered to be an extremely financially stable company, with 2010 ratings of Best of A (Excellent) from A.M., and AA (Very Strong) from Standard & Poor's. If you are considering a health insurance plan from Allianz, feel free to talk with one of our advisers to help you understand your coverage options prior to purchase. Reaching Malaysia Health Insurance is simple, just complete the information request at the top of this page and mention 'Allianz coverage' to speak with an adviser, or to talk to someone right away click here.